It’s been three years since Edmonton has had a museum to go and visit, so it’s no wonder the free admission tickets for opening week were gone in a matter of hours! 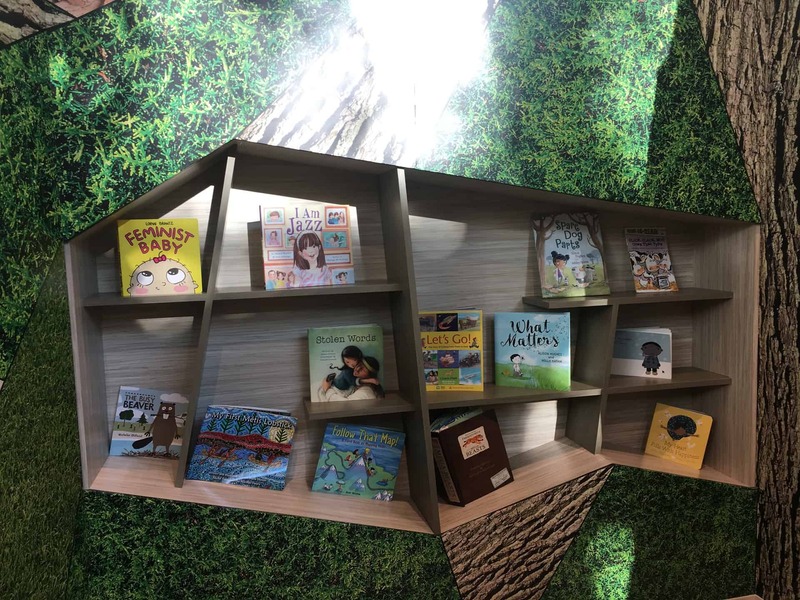 Aside from being a beautiful facility full of learning opportunities, the Children’s Gallery in particular is like nothing you’ve seen before. I’m positive this is about to be your family’s new favourite destination for indoor fun! The gallery is bright and cheerful with lots to catch your eye and exciting opportunities for engaging play around every corner! Although it was busy while we attended, there was plenty of room for the kids to play and it never felt busy because it’s SO large. There are bathrooms both inside the gallery itself and just outside it’s entrance, as well as a water fountain. This was the first thing my kids immediately ran to! Filled with tiny plastic pellets that are locally sourced, children can sit and dig with shovels and brushes to discover fossils and toys buried beneath the surface. There is plenty of benches around this space for parents to take a moment, as you’ll likely be there a while. This was one of the most unique things I’ve ever seen and was so cool to watch! Picture a large sand table with a projector hanging over top. Seems simple enough but when the children begin playing in the sand you can see them shaping land masses as topography lines appear when their mountains become bigger, or water and fishes show up when the sand is laid flat. Your children will likely gravitate here as well where there are all kinds of dials to turn to move those same plastic pellets from the dig pit through a machine that reaches high into the ceiling. It wasn’t working so well when we visited, but that didn’t stop the kids from having fun with it! Another wildly popular section, children have the opportunity to play with wind in a few different ways. There’s a beautiful mural made out of hundreds of paper tiles that can be blown with one of two machines to shimmer and really shine. There is also a table that had three pipes blowing a constant stream of air that children could put scarves or balls overtop and see how high they go. The table also had two pipes to place a ball on top of that connect to a seat so when children sit on it, the ball jumps. A special fenced off area for children under 3 there is a “mini mountain” to climb, mirrors with ballerina bars, foam blocks for building, a small slide, and a variety of toys suitable for this age group. Got a child who loves dress-up and music? There’s a theatre area, complete with curtains, costumes, mirrors and musical instruments. In the future there will also be programs happening in here. This area is truly for the creative type and will also host programs and field trips. There are wooden blocks and logs for building, magnet toys, and all kinds of creative materials for children to use as they see fit. This is only the highlight- there is also a book nook, train table, light table, and various small toys to play with and displays to look at! Seriously, be prepared to spend hours in this gallery! Keep in mind, that’s only one gallery at the museum! There are four galleries open right now, with two others currently being developed. We spent two and a half hours exploring briefly – you could easily spend an entire day. 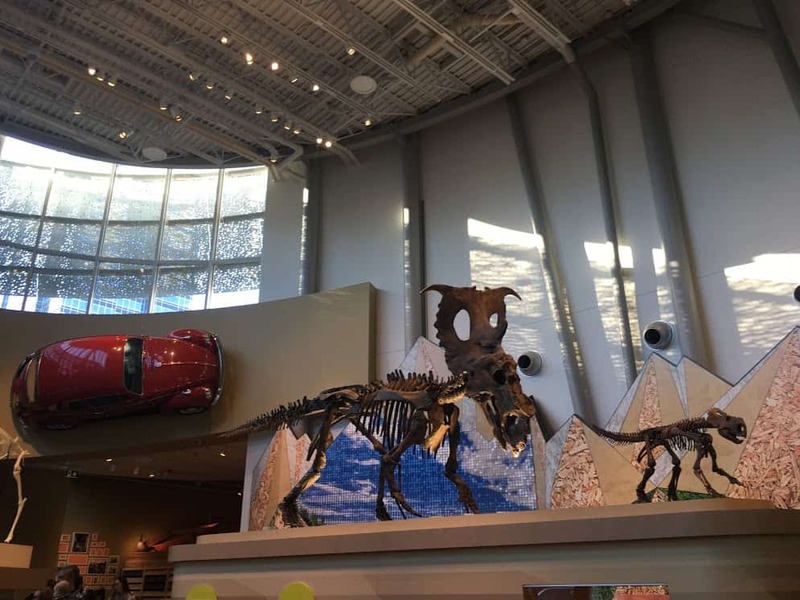 From fossils and classic diorama displays, to live creepy crawly bugs the new Royal Alberta Museum has something for everyone. We loved our visit and my kids are already discussing when we can go back to have a better look. I think a Mammoth Pass is definitely in our future! At only $70 for a family to visit for an entire year, it’s very affordable and pays for itself in less than two visits.